One room studios, which can offer hospitality to 2 or 3 persons. Two spaced studios, which can offer hospitality to 3 or 4 persons and are consisted of the entrance room, where there is the kitchen and 1 or 2 single beds and then a bedroom with a double bed and the bathroom. Apartments which are composed of two autonomous bedrooms, a kitchen, a bathroom and can offer hospitality to 4-5 persons. A fully equipped kitchen (having all the necessary kitchenware, a fridge, hot plates, a coffee maker, a toaster). Free wireless connection to the internet(wifi). BBQ, which includes not only an outdoor grill and a wood stove, but also a dining room of its own under the shaded arbour, having an unlimited view to the sea. A library, where you can borrow books throughout the duration of your stay. Ability to use a computer for sending and receiving emails. Convenience in order to rent a car, a motorbike and a bicycle. A map of the island and a special brochure with useful information. 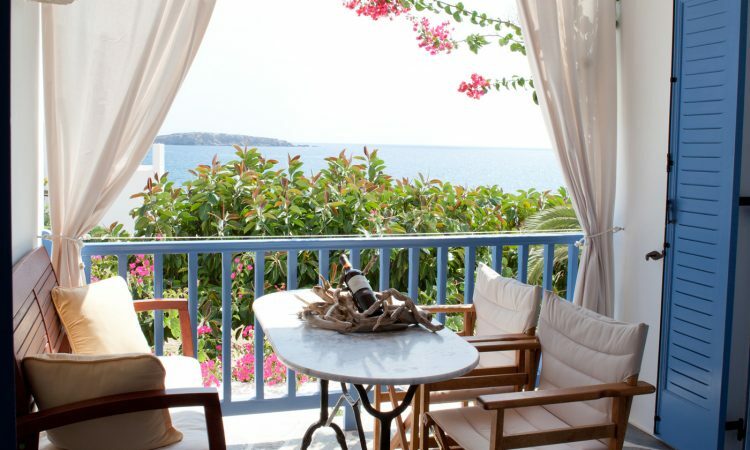 We offer every information so as your holiday will be as much comfortable and amusing as it can be. When you will be among us you will understand that what characterizes and distinguishes us it is not only our facilities, which are based on our privileged position and our building substructure. It is the tenderness we offer to our visitors and the small details of our behaviour, which help so as a friendly and warm relationship and a family mood to be established. 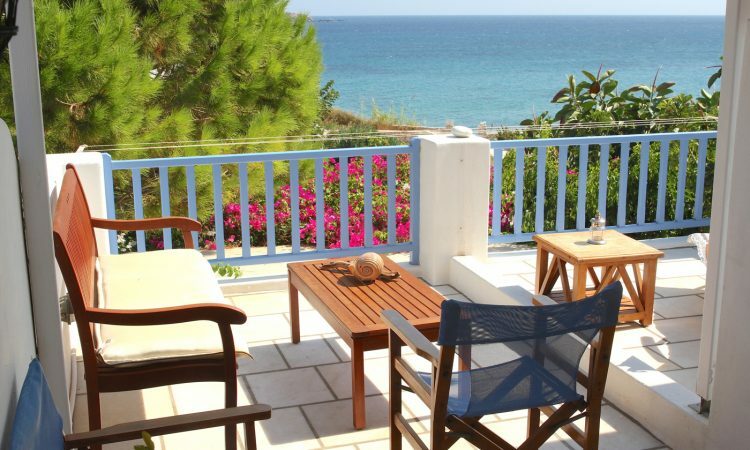 At ILIOS we do not only offer accommodation but also we host the people who choose to spend their holidays among us. 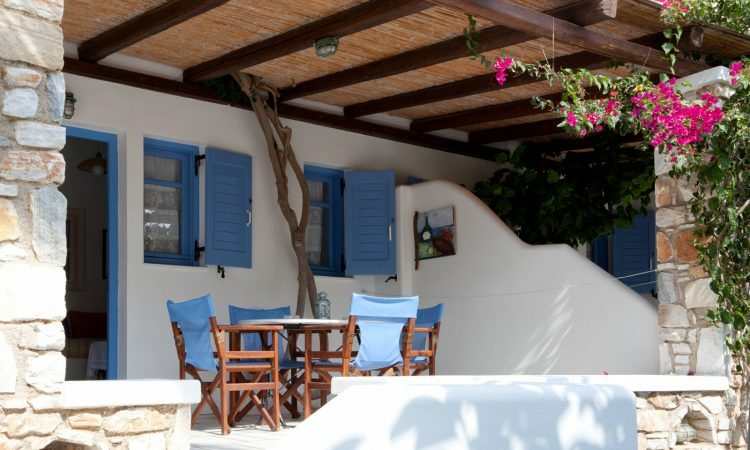 This behaviour of ours is the one that keeps the traditional hospitality of Cyclades alive!